What are the different types of solar modules? Day after day, we see headlines showing the growth of solar photovoltaic energy across the globe, from China to India to Germany to the United States. The rising demand for solar power is fueling advances in research and development of solar PV technology. However, in many ways, fundamental solar energy generating technology hasn’t changed much since the introduction of the monocrystalline solar panel in the 1950s. It’s only gotten better, as improvements in efficiency, quality and versatility continue to develop. The monocrystalline solar panel may be the original solar PV technology, but it’s being challenged by both established and emerging new technology on factors like price, efficiency and versatility. Solar PV modules made from polycrystalline silicon, as well as new generations of thin-film solar PV technology, are giving residential, commercial, industrial and utility clients a variety of options to fulfill their solar energy production requirements. The variety of solar power technologies available run on a scale of efficiency, price, durability and flexibility, depending upon the need of your project. PV solar technology generates power because substances like silicon generate an electrical current when they absorb sunlight, in a process known as the photovoltaic effect. Like semiconductors, solar PV technology needs purified silicon to get the best efficiency, and the price behind PV solar manufacturing is often driven by the crystalline silicon purification process. Generally, monocrystalline silicon solar PV is the best technology to deliver efficiency, as measured by wattage output related to the panel’s size. But this efficiency can come with costs. The best value is solar PV technology is polycrystalline silicon, offering efficiency levels close to monocrystalline panels, but at half the costs in some cases. Monocrystalline solar is made by growing a single crystal. Because these crystals are usually an oval shape, monocrystalline panels are cut into the distinctive patterns that give them their recognizable appearance: the sliced silicon cells expose the missing corners in the grid-like structure. The crystal framework in a monocrystalline is even, producing a steady blue color and no grain marks, giving it the best purity and highest efficiency levels. Polycrystalline solar is made by pouring molten silicon into a cast. However, because of this construction method, the crystal structure will form imperfectly, creating boundaries where the crystal formation breaks. This gives the polycrystalline silicon its distinctive, grainy appearance, as the gemstone type pattern highlights the boundaries in the crystal. The technology with the lowest market share is thin-film, but while it has several disadvantages, it is a good option for projects with lesser power requirements but needs for light weight and portability. Thin-film technologies have produced a maximum efficiency of 20.3%, with the most common material amorphous silicon at 12.5%. Thin-film panels can be constructed from a variety of materials, with the main options being amorphous silicon (a-Si), the most prevalent type, cadmium telluride (CdTe) and copper indium gallium selenide (CIS/CIGS). As a technology that’s still emerging, thin-film cells have the potential to be less expensive. Thin-film could be a driver in the consumer market, where price considerations could make it more competitive. According to the U.S Department of Energy, polycrystalline silicon is leading the market share with 55% of PV technology shipments in 2013, compared with 36% for monocrystalline. So far, research has produced polycrystalline cells with a maximum efficiency of 20.4% with monocrystalline technology pushing the boundaries at 25%. 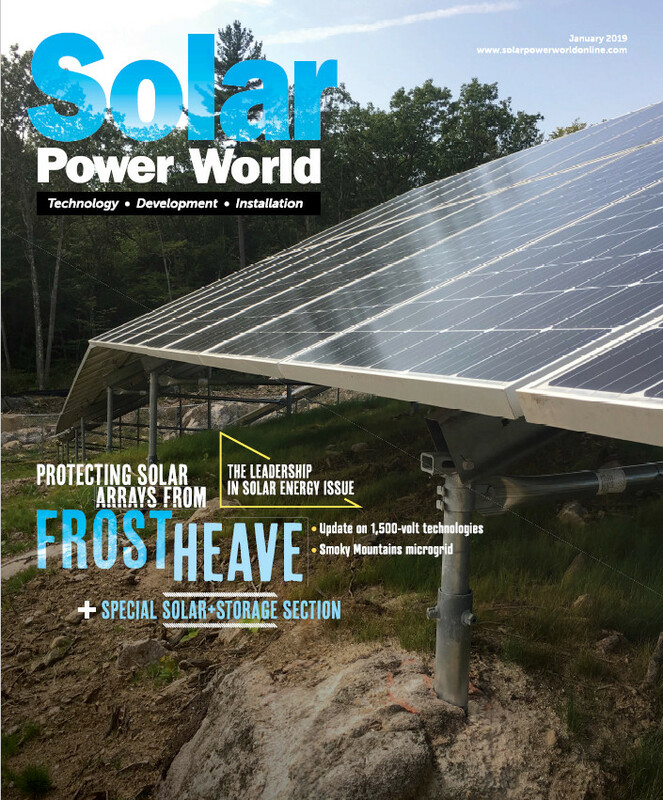 Whether it’s the rooftop of a home or a solar farm for a grid-connected utility, space and area are often a key component of any solar power project, which often makes module efficiency a critical element for project developers. Most solar panels range in efficiencies of 13 to 16%, though some high-end model modules can reach percentages as high as 20%. For most applications, a mono- or polycrystalline solar PV solution is usually the best option, as these established technologies generally provide the right balance of price, efficiency and reliability. For most commercial and industrial use, the crystalline silicon is still the standard and stands to be for years to come. Vasari Energy has found that the polycrystalline product offers our clients with the desired match of efficiency, durability and price. Am from Nigeria ,from what I have read is satisfactory to know all about the differences in PV cells, and cost efficient and most importantly durability and efficiency across the cells. Am grateful and thankful to you making our world a better place to fit in and living with a good source of energy ,solar power. I want to install solar panel at our roof top that measures around 1000 sq.ft. Which panel manufacturer is best for such applications at the lowest cost. Since The Area available is very less, you may consider the LG 400 Wp, Mono or for cost effective you may consider Canadian Solar 325 Wp/ 350 Wp Poly Crystalline Module.